Essie Mae Garner was born May 8, 1927 to Julia Grover Garner and Perry Garner, Sr. in Titusville, Alabama. Essie was born third of five children. Her three brothers, Perry, Eugene and Gary and her only sister, Ruth, all preceded her in death. Essie grew up in Bradford, Alabama, where she met and married Ira Blakely, Sr. After the dissolution of her marriage to Ira, she later moved to Collegeville, where she met and married Joseph Dukes. The couple later moved to Adamsville, Alabama. Essie was a life-long member of Mt. Olive Baptist Church serving on the usher board, Sunday School superintendent and choir member. 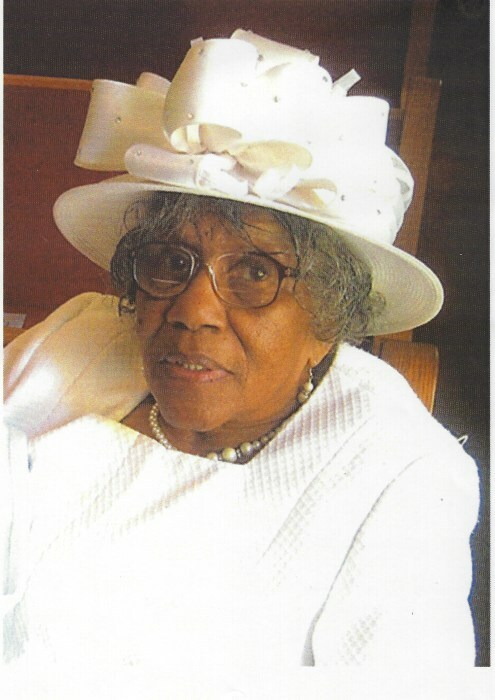 Those who will be saddened the most by her passing, but will forever cherish her memories, are her children, Curtis Blakely, Dorothy Blakely-Stanton, Perry (James) Hill, Josephine Dukes-Bland, Brenda Blackman, Edna (Darwin) Washington, and Vivian Glover; 18 grandchildren, 25 great grandchildren, and 2 great great grandchildren; a very special sister-in-law, Gwenda (Tommy) Spencer, six nephews, a host of friends and her loving church family. Throughout her life, Essie left a lasting impression on so many people and, even though she filled many hearts with a lifetime of memories and joy, her passing has left a void that can never be filled. Service of memory will be Saturday, February 16, 2019 at 12 Noon at Mt. Olive Baptist Church (3498 Honeycutt Road 35005) with burial in George Washington Carver Cemetery. She will lie in repose on Friday at Westside Chapel Fairfield from 1:00 PM until 7:00 PM.